While established in 1947 as a “Government Station”, Nadi was established as our tourist hub in the 1960’s as home to Fiji’s international airport and the gateway to the popular Mamanuca and Yasawa group of islands. Nadi offers a wide range of places to eat and drink to suit your taste and budget. Bus services operate between Nadi and Suva every day and continue around the island via Lautoka, Ba and Rakiraki (although this service is less frequent on Sundays). Taxi’s are numerous and relatively cheap. Located on Sawa-i-Lau island, in the northern Yasawa Islands, you will find one of the areas most popular natural attractions made famous by Brooke Shields innocent character in the movie Blue Lagoon. 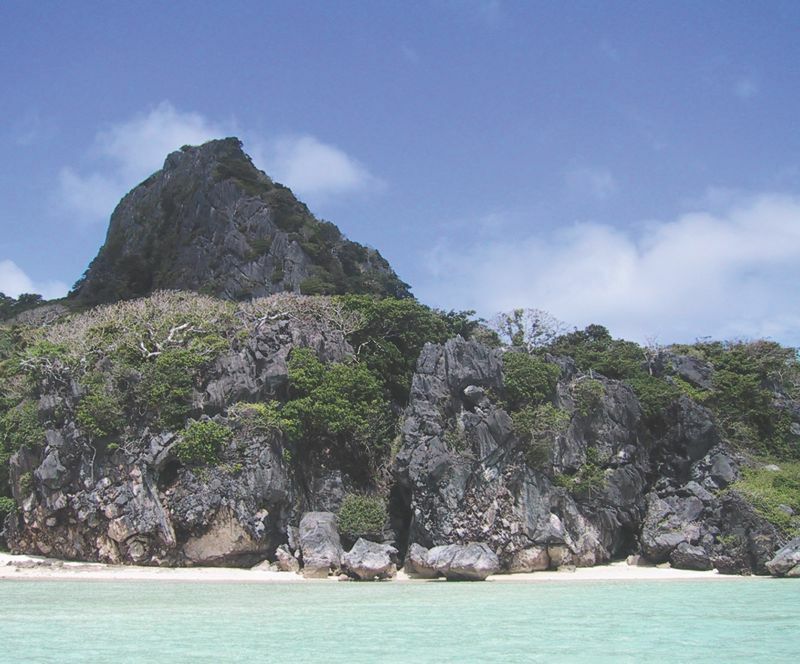 While Ulutini – a ten headed god is said to reside here, you will only find a mystical set of caves that are warm, safe and friendly to swimmers, snorkelers and divers alike. The first cave is lit by sunlight from an overhead hole. in the cave. At high water, you can dive down just a few yards into the second series of 2-3 caves. You can take a guided trip to the caves, or given that you have your own vessel from which to explore, anchoring in the bay is straight forward enough with good holding ground that can accommodate larger yachts. Weather wise the anchorage will be tenable in winds from ESE thru to WSW but you can move around in this area to find alternative anchorages. This unique Hindu temple, the largest in the southern hemisphere, reflects an architectural style rarely seen outside of India. The temple houses sacred statues designed by craftspeople brought over specifically from India. 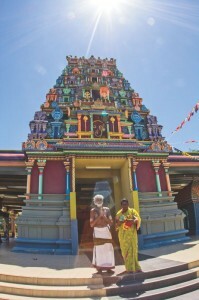 Situated at the far end of Nadi town, the colours and statues around the temple are exquisite. While no tour is available, you can pick up a printed pamphlet detailing the meanings of the paintings, scriptures, and scenes. Just don’t forget to cover your shoulders and take your shoes off before you enter! Meander through 20 hectares of incredible beauty and experience the serenity of one of the world’s largest orchid collections. Sitting at the foothills of the Nausori Highlands, the gardens were started in 1977 by the late actor Raymond Burr, of ‘Perry Mason’ and ‘Ironside’ fame. Take a peaceful walk through the garden that is home to a beautiful array of native flowers, plants and lily ponds. At the end of the walk you will come to a quaint seating area where you can relax and reflect on the spectacular scenery. You may also choose to take a look around Burrs old home, where the nominal entry fee also includes a delicious afternoon tea. Don’t forget your camera! Nestled among the sugar cane fields of Momi lies a now silent gun battery. 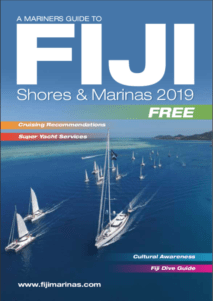 In 1941, with World War II raging throughout the Pacific, Fiji was vulnerable to Japanese attack, and if captured, would be the perfect staging area for incursions into New Zealand and Australia. Momi was selected as a battery site because it overlooked the Navula Passage, which offered one of the few breaks in the surrounding reef and was the spot where enemy ships could enter to attack Nadi town and the adjoining airfield. 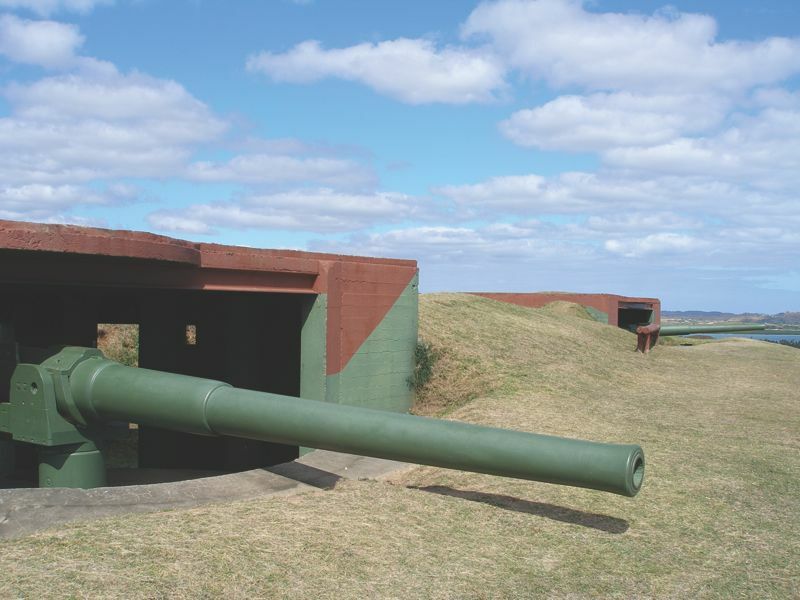 Eight cement structures that housed a command post, a fire control room, a rest room, two ammunition storerooms, two gun emplacements, and a range finder were built. In the two gun emplacements, the battalion installed two six-inch guns and mounted them facing the sea. Today the Momi Battery is in the care of the National Trust of Fiji. It represents a proud period in Fiji’s history when so many of its citizens joined the war effort; many sacrificed their lives to keep Fiji safe and free. It is a monument to the memory of these men and women. Tandem Skydive (Fiji) Ltd has put together a highly experienced group of skydiving instructors and pilots. Skydive Fiji operates from Nadi and are the ONLY skydiving operation in the country. Tandem Skydiving is the safest, easiest and most enjoyable way to do your first skydive. Almost anyone can skydive – even Paris Hilton has jumped with these guys! You can choose to jump from 8,000 feet, go ‘radical’ to 10,000, ‘extreme’ at 12,000, or else become a legend’ on your very first jump at 14,000 feet! Whichever height you jump from, we are sure that you will LOVE every breathtaking second. If you feel like getting those sea legs spinning after a long passage, head to Stoney Creek Resort and hire a mountain bike from the guys at Wacking Stick Adventure Tours. You can chose to be sent off with a map to explore the cane fields and foothills of the Sabeto Mountains at your own pace, or sign up for a guided tour. Half-day to five-day tours are available including all meals and accommodation. A great way to see inland Fiji and exercise at the same time! Take a short 25-minute drive from Nadi, followed by a free boat ride across 300 meters of ocean, and you will find Fiji’s first and only Paintball field! The battleground has been constructed with bunkers, pits, safety zones and a viewing area allowing you to run around carrying the latest equipment and safety gear imported from Australian specialists. Go along for an action packed adventure with a bunch of friends (min 4, max 25) and watch the competitive streak come out in them all as you compete in teams to be the first to capture the opponent’s flag. Game availability is subject to weather. Minimum age is 16 years. If you enjoy paddling, the Nadi Bay Canoe Club trains on Tuesdays and Thursdays from the Travelers Beach Resort along Wailoaloa Beach. Contact the club secretary at Nadi Bay Canoe Club on their Facebook page. A four screen, fully airconditioned cinema showing latest releases. Buy a box of freshly popped popcorn or another sweet delight, settle into a wide, comfortable chair and enjoy! Enjoy an all-natural ‘Spa’ treatment relaxing in one of nature’s treasures. Jump in to the natural pool and cover yourself in mud, mud, glorious mud from the pool bed. If you want to get serious, head to the shallows to wallow and make like a hippo! While the mud dries, you are free to browse through the village stalls. Afterwards you can wade back into the water to wash the mud off leaving your skin feeling soft as a baby’s bottom! You can then head down to relax in the mineral pool (naturally heated to around 30oC) where you complete the treatment. If you are hungry for more, you can request a 30 – 60 minute coconut oil massage under the palm trees for a modest fee. Sheer bliss! Here you can experience the luxury of Pure Fiji’s therapies and products made locally from traditional recipes for skincare utilizing a wonderful array of indigenous ingredients such as organic cold pressed drift nut oils, raw sugarcane, anti oxidant leaf hydrosols – all sourced from rural communities around the Fiji Islands. Massages and wraps, miraculous facials, and the most luxurious of spa pedicures and manicures will leave your skin and body refreshed and revived. Offering authentic ayurvedic spa treatments, this tranquil day spa’s entire design is based on ayurvedic philosophy, with a treatment menu designed by OmVeda. This brand new and very unique nirvana at Port Denarau was a labour of love for the owner who dreamed of bringing the concept of ayurvedic lifestyle and health to Fiji. 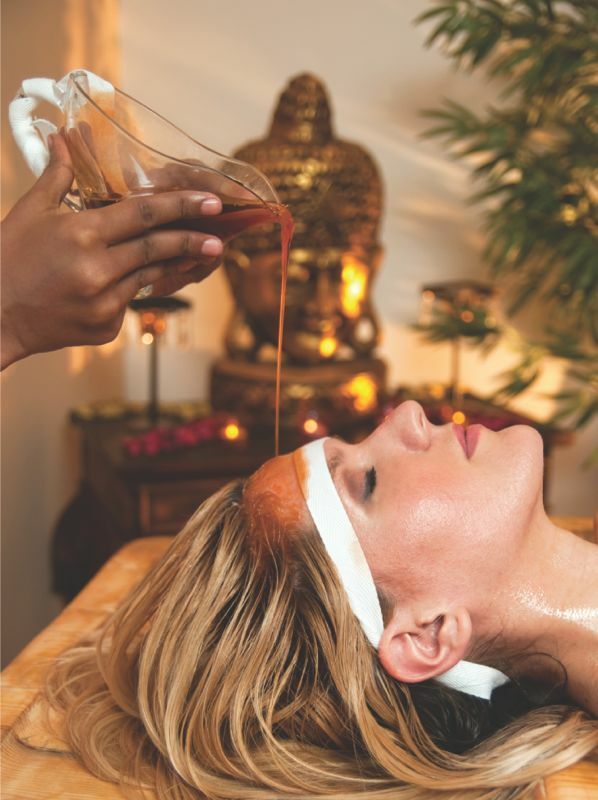 One of the six OmVeda trained and experienced therapists will help ensure you select the treatments that cater for your individual ‘dosha’ type. The Heavenly Spa by Westin at The Westin Resort on Denarau is beautifully designed to blend with nature. This purpose built facility features an authentic design; peaceful environment, luxurious spa amenities and renewing body treatments offered in one of the spa’s 10 beautifully appointed open-air therapy rooms or suites. State of the art modern spa facilities in the Heavenly Spa including a steam room, Jacuzzi, Vichy shower, custom made hydrotherapy Tub and Jet Showers.